Last night was my initiation into the world of Supper Clubs after closely following this phenomenon which has in recent years, been taking many cities around the world by storm. There’s alot to be said about people that welcome strangers into their homes…and even more to be said about those that can cook up some seriously amazing food for some 20+ strangers – restaurant style, but in the comforts of their living room as a hobby. Definitely the hostess with the mostest, Uyen welcomed all the ‘guests’ into their home, ensuring everyone had a glass of wine, while we meandered around their living room filled with glorious bric-a-brac and interesting things before dinner was served. 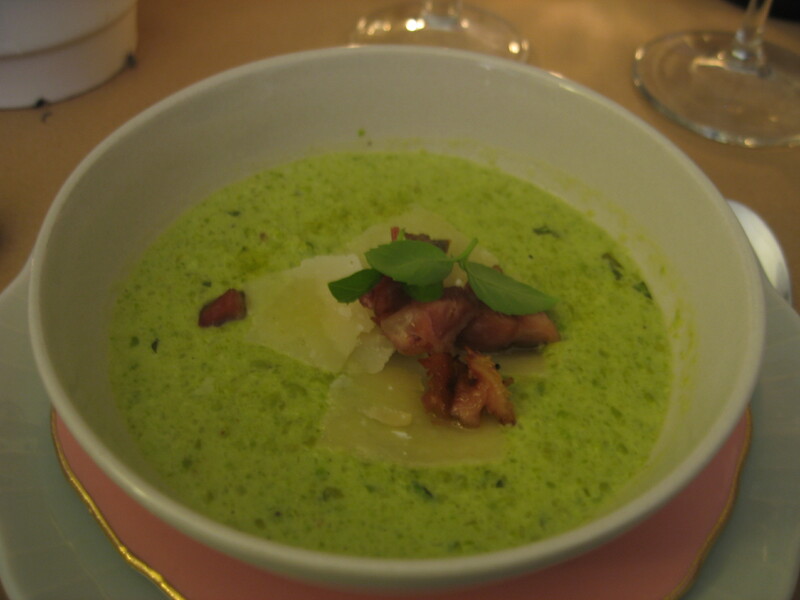 The most amazing Pea Soup ever! Not realising the extent and portions of the menu, our table of piglets devoured the garlic infused focaccia bread that was put on our table. After that came Pea Soup, Octopus Carpaccio w/ capers, Sweet Potatoes Totilla and Oyster mushrooms In Wine, Banh Cuon w/ BBQ Pork and Vietnamese Hams, Lemongrass Beef wrapped in Vine Leaves, Fish and Chips and Fruit Trifle. it would have to be the Pea and Ham soup. 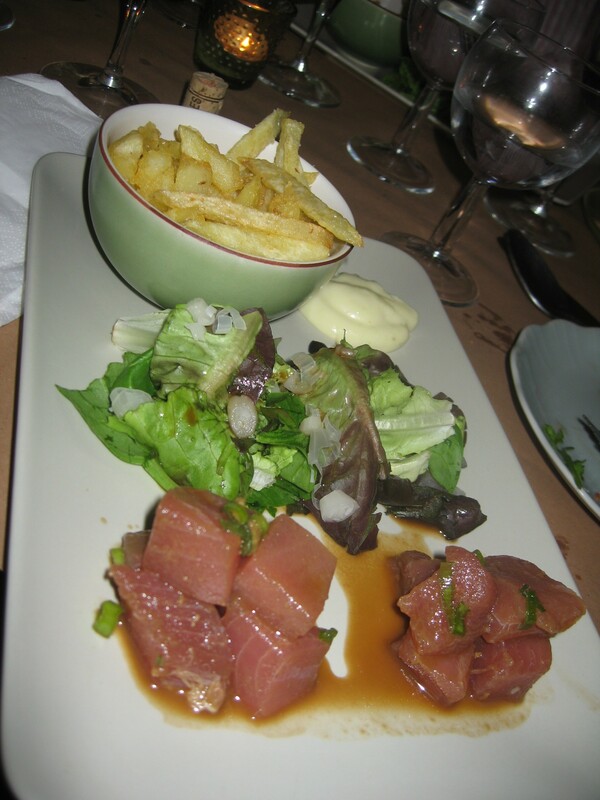 This was quite possibly the best soup EVER, but seriously – everything was amazing, and I loved their take on the ‘ole fish and chips; the fish being gorgeous chunks of tuna sashimi served with a bowl of home cut chips and wasabi mayo – Yum! BYO without any corkage and £35 min gratuity per person; this was seriously excellent value for the quality of the food and the whole supper club experience. We paid more because we loved it so much and I can’t ramble on enough about how great these guys are. I’ll definitely be back – so get yourself there pronto! The Gourmet Belly is still stuffed a day later…Damn you deliciously tasty focaccia bread! !